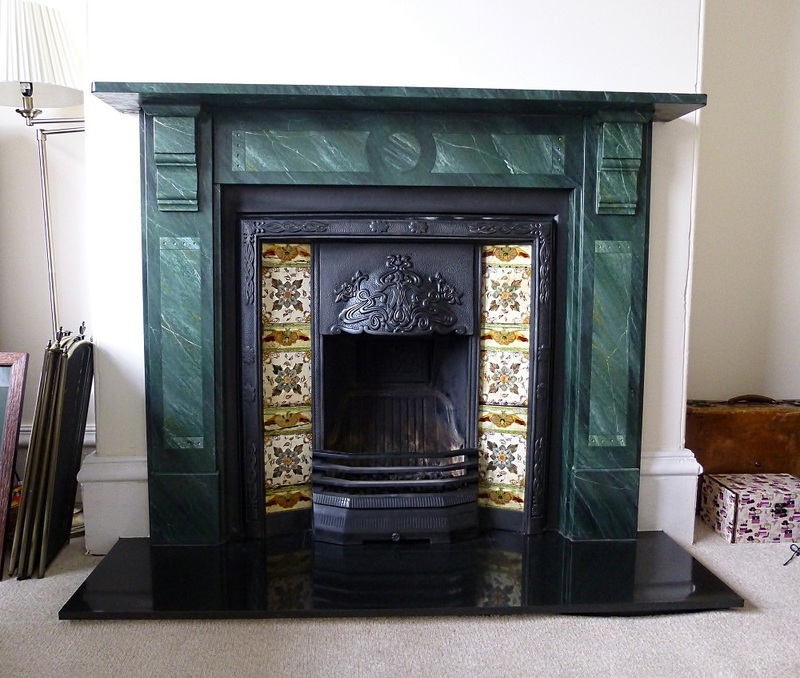 The green faux marble fireplace was as much a restoration project as it was a faux finish painting one. 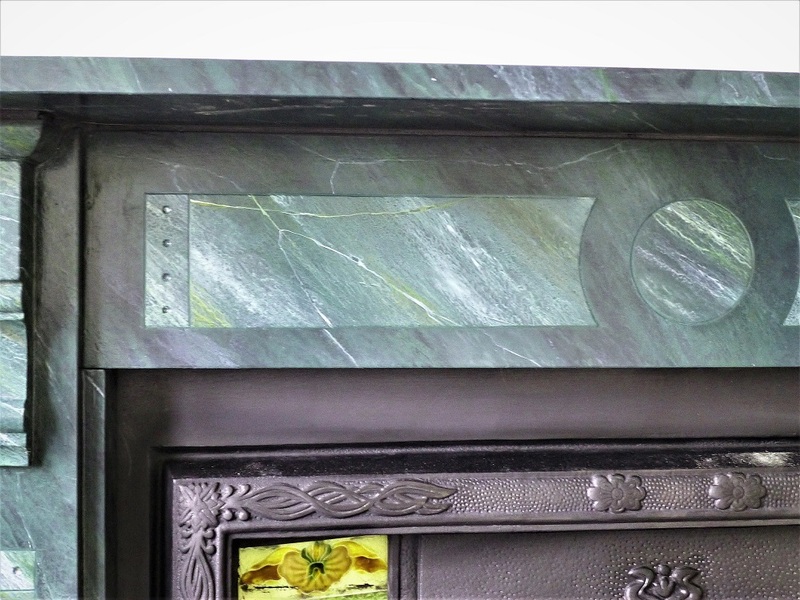 The fireplace had originally been faux marbled sometime in the late 1800’s but since then had lead a hard life, being brought to me in a very worn and damaged condition. The clients had just moved to their new home and wanted the fireplace to be the focal point of their living room once more. 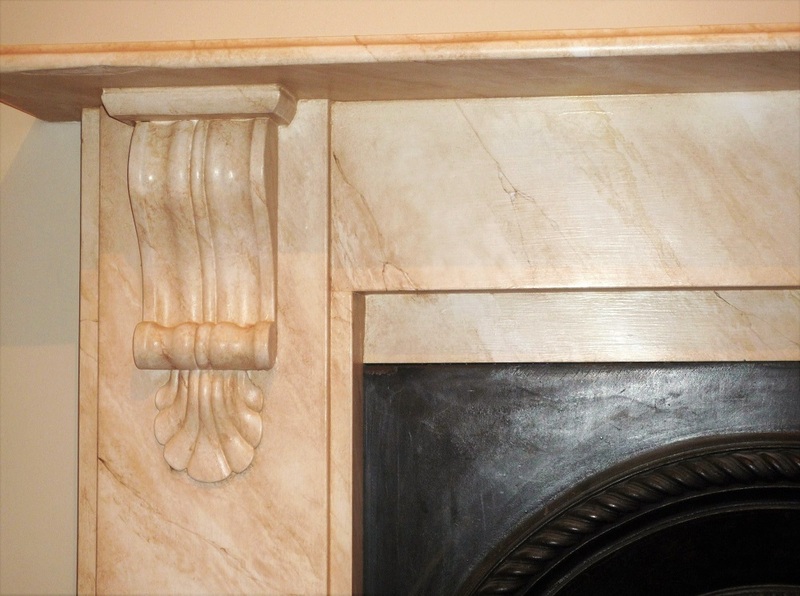 There were many a stage to this marble effect project, from thorough cleaning, sanding and filling to base painting and the creation of the marble paint effect itself. I used the same colour scheme as the original finish – deep greens, greys and white – and the couple were delighted with the results, promising further restoration works in their Doncaster home. 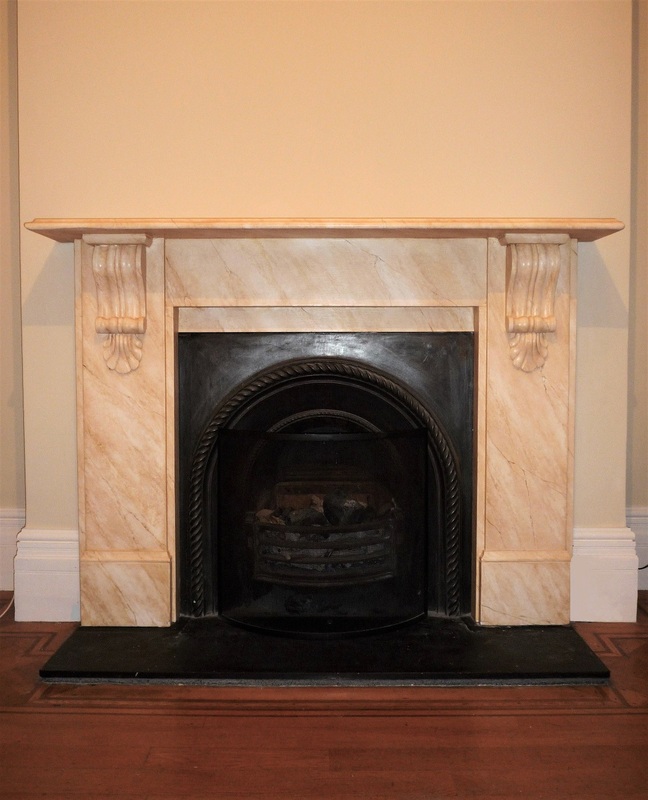 For this faux marble commission I travelled down to London, this time near Euston. 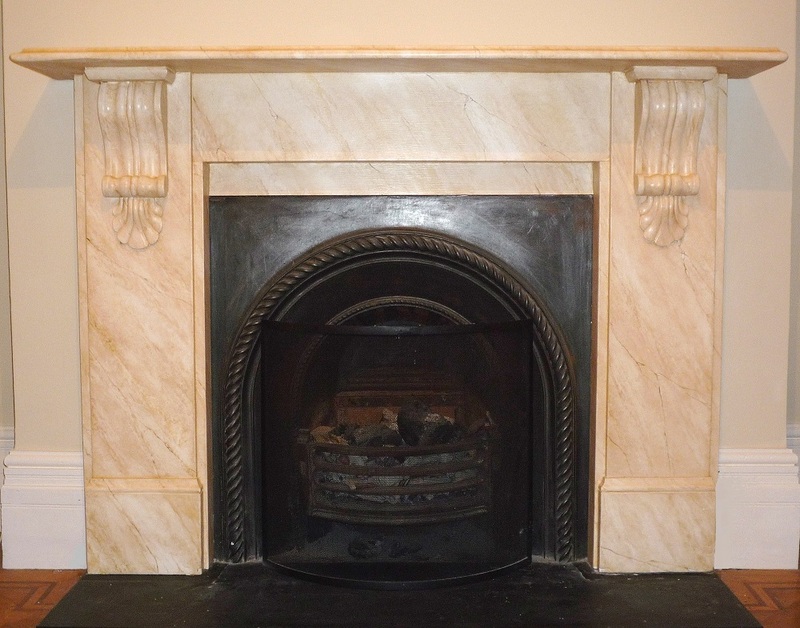 The home was undergoing significant renovations and their interior designer got in touch wanting me to restore their once beautiful fireplace to its former marble effect glory. 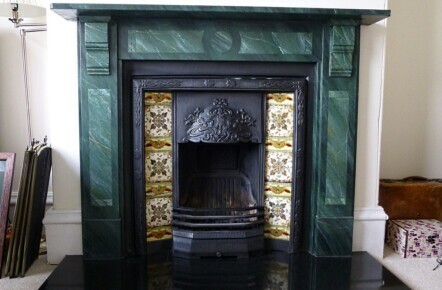 Originally cast iron the fireplace had been painted black and dominated the room. The clients wanted the room to feel lighter and more spacious but still wanted to retain the properties original period feel. 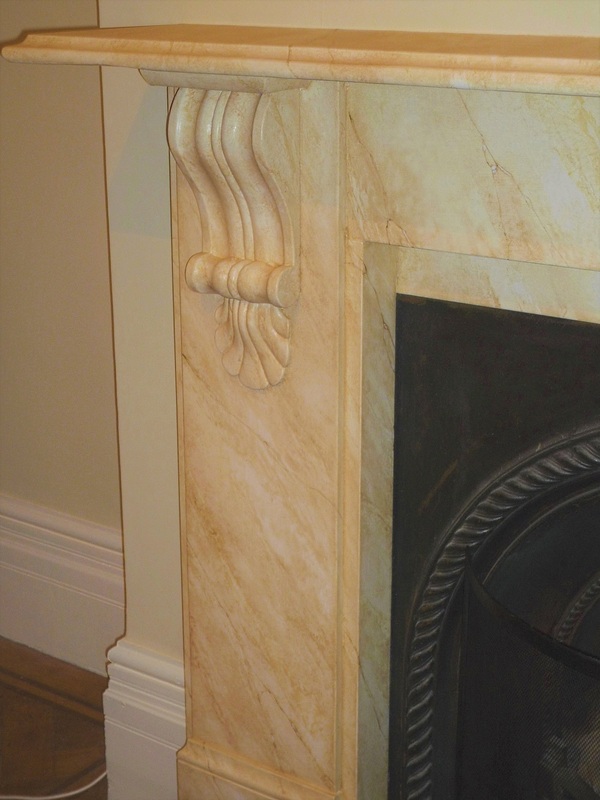 The sienna style faux marble effect I painted gave a much better balance to the room, ensuring the fireplace remained the focal point but didn’t overwhelm the planned new décor.